Chinese dishes are becoming an integral part of the U.K’s culinary culture thanks to the ever-expanding global food industry. The dishes have grown from simple soggy sandwiches to a full range of menus that are available in restaurants and takeaways. One such popular menu is the king prawn with green pepper in black bean sauce. 1. Before you start cooking prepare your ingredients first as they will need to be cooked together very quickly. 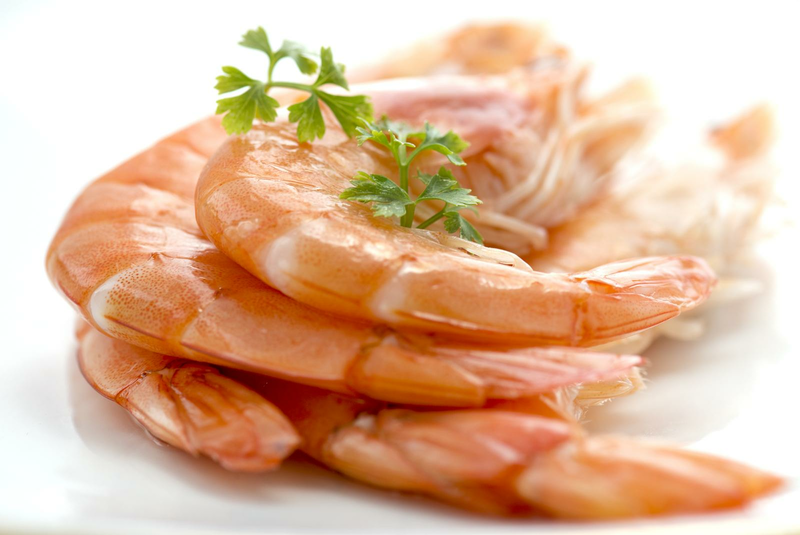 2.Prepare the prawns by removing the shell off the king prawns and boiling them for approximately two minutes. When the prawns turn pink, it's an indication that they are cooked. Remember to cut and remove the prawn’s intestines. 3. Prepare garlic. There are four different styles of preparing garlic, i.e., slicing, crushing, chopping and squashing to create a puree. Each of the methods brings about a particular flavour. For our recipe, we shall crush the garlic to get a sweet flavour. 5. Make the corn flour mixture. It is advisable to stir in small amounts of water until you achieve the desired thickness. 6. Start off by heating the oil in a wok or an ordinary frying pan until hot. 7. Drop in the onions and fry until they turn golden in colour, and then add the chilli and black beans and fry for almost a minute. 8. Add green pepper and mix a little bit. Next, add the King prawns and fry for two to three minutes. 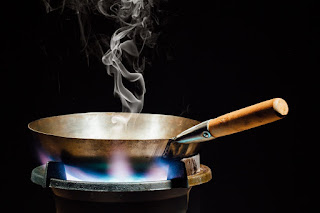 Ensure that the food does not burn or stick to the wok or pan. 9. Add the chicken stock and allow the mixture to boil for approximately two minutes. 10. Add a bit of water plus the soy sauce, sugar and salt. Use the corn flour mixture to thicken the soup. 11. Make sure the mixture is piping hot before serving with the boiled rice.